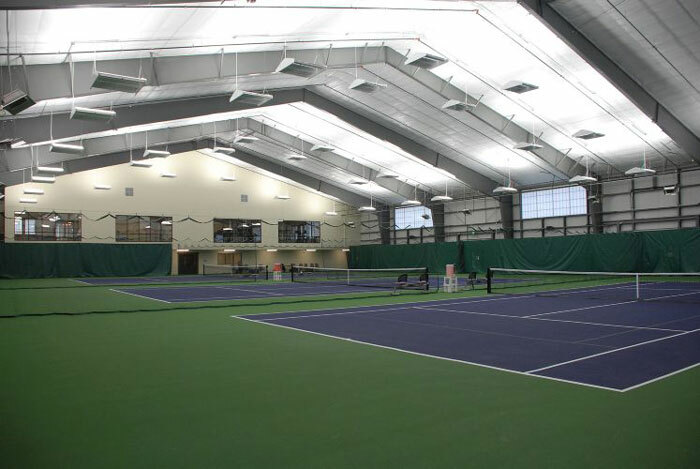 As part of a $5 million expansion and renovation program, the Fort Collins Country Club constructed three new indoor tennis courts to complement their existing five outdoor courts. The facility chose to use the new SXS LED lighting system from LSI to illuminate the courts. The average light levels provided by the SxS system as designed for this facility are over 100 foot-candles, with exceptional uniformity. In addition, the SxS LED system requires virtually no maintenance over its 60,000 to 100,000 hour life. Most importantly, the SxS system will require 50% less energy cost than conventional lighting systems.